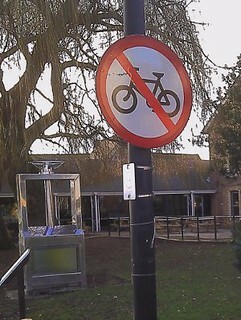 We’re really pleased that the ban on cycling along the riverside in Ely has been lifted. This is one of the simple improvements we’ve been campaigning for and it’s great to see it come to fruition. We’re hoping this will be the first of many improvements that will make Ely and East Cambridgeshire a safer and more pleasant place to travel by bike. The riverside is a really important part of the cycle network we’d like to see developed in the district. It gives commuters who live in the North of the Ely a safer route from the end of Lisle Lane to the Station. Making cycling as a means of transport easier and safer has a lot of popular support and that is reflected by the results of the consultation, which was overwhelmingly in support of lifting the ban. We realise that there is a short section where the route narrows where a little more care is required and after about 12 months of cycling along the river this seems to be working quite well.